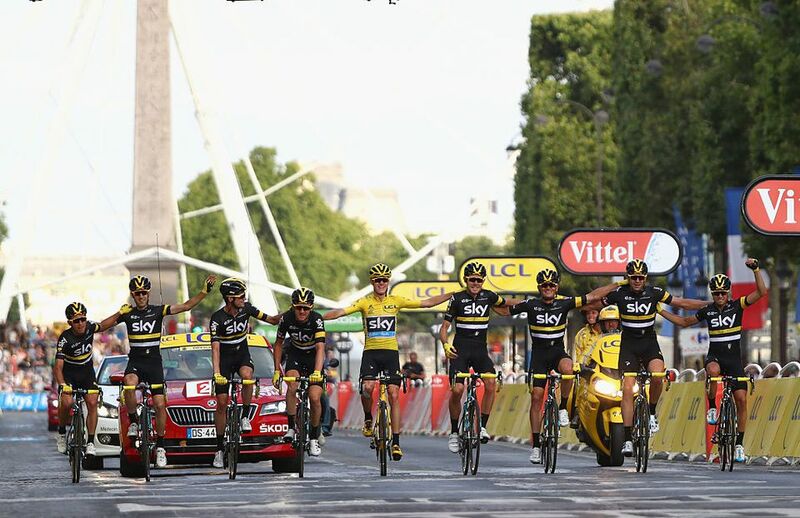 Once again, the world’s greatest cycling race, the Tour de France, takes place in July. Founded in 1903 by Henri Desgrange, the editor of L'Auto newspaper, it’s the third biggest sporting event in the world after the Olympic Games and the FiFa World Cup. The Tour de France attracts over 12 million spectators in a typical year's race and 3.5 million TV viewers on a typical day's coverage in 190 countries. The 2016 Tour de France runs from Saturday July 2nd to Sunday July 24th, 2016. It’s the 103rd race and will be as gruelling, as exciting and as dramatic as ever. As always it includes a range of skills, but the most exciting is always the climbs in the Alps. The Tour is made up of 21 stages and covers a total distance of 3,360 kms (2,987 miles). This year the Grand Départ starts from Mont-St-Michel and ends that day at Utah Beach. The race also takes in Spain, Andorra and Switzerland. For all the stages of the route, see page 4. The teams have been chosen by the organizers, with nine riders in each team. There are 22 Teams, with 3 teams from the USA, 2 from Belgium and German. France has 5 teams. All the other countries are fielding one team: Great Britain; Australia; Italy; Kazakhstan; Netherlands; Russia; South Africa, Spain, Switzerland. A total of around 2.2 million Euros will be awarded and given out to the teams and the riders. The Red and White Stripe Jersey = the most aggressive rider which is awarded at the end of each stage by a jury of eight cycling specialists. There’s also a prize for the team classification which is calculated by adding the times of the bet 3 riders of each team in each stage (except for the team time-trial). The outright winner is chosen after the last stage of the tour. This year, the route includes a lot of new cities and also new destinations that are top cultural destinations. Sunday July 24: Chantilly (new) to Paris Champs-Elysees.